Thiruvananthapuram: Kerala government advertised Chief Minister's Distress Relief Fund's bank account number to seize money from Ayyappa devotees. 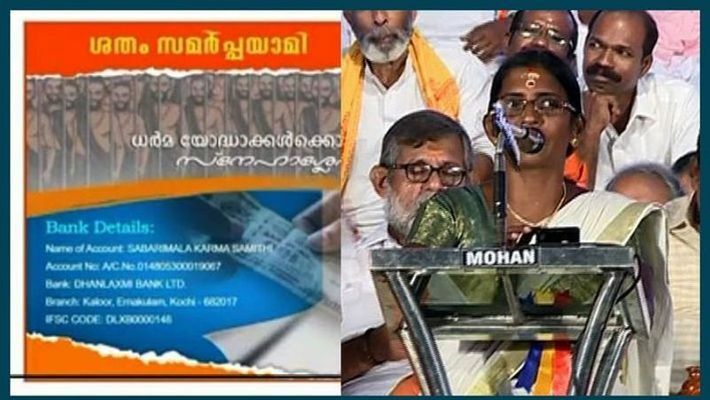 Karma Samithi organised a group 'Shatham Samarpayami' to collect money to save Ayyappa devotees, who were arrested by the Kerala police for protesting against the Sabarimala verdict. But now, a new advertisement of Karma Samithi surfaced claiming to help the Ayyappa devotees. And this ad features the CMDRF bank account number. "Karma Samithi is collecting money for Ayyappa devotees, who have been arrested for fake cases and the liars of the Vijayan government created a new advertisement, which includes the CMDRF bank account number with a clear aim to cheat many Ayyappa devotees and make money," said Rupesh, an activist from Kerala. 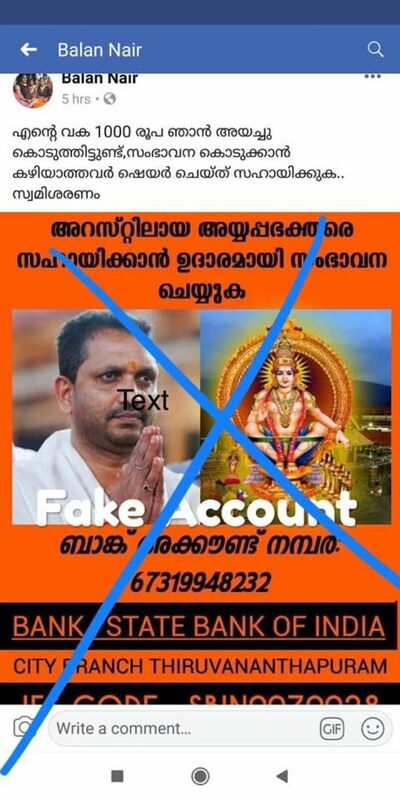 Earlier, in October too, the CPI(M) created a fake advertisement in the name of 'Save Ayyappa' and listed the CMDRF's bank account details. Many devotees even sent money into this account to later realise that they were cheated. As per reports, around Rs 5 lakh has already reached the CMDRF account in the name of Karma Samithi. Hindu Aikya Vedi president KP Sasikala, BJP leader K Surendran and many other Hindu group leaders have come forward on social media exposing the hidden agenda of Pinarayi Vijayan, who, they claim, has allegedly played games in the name of Ayyappa. "Aren't Vijayan's aides ashamed of indulging in such pitiful acts? They mock Ayyappa devotees and take the devotees' money with no remorse," said Shini from Payyanur, an Ayyappa devotee. Many Ayyappa devotees alleged that Vijayan's government and is proving itself wrong repeatedly. "Earlier, their double stand towards the Sabarimala issue was proven when they arrested women, who tried to enter the Vavar mosque. Now their greed towards money is being showcased with the fake advertisement," said Shini added.